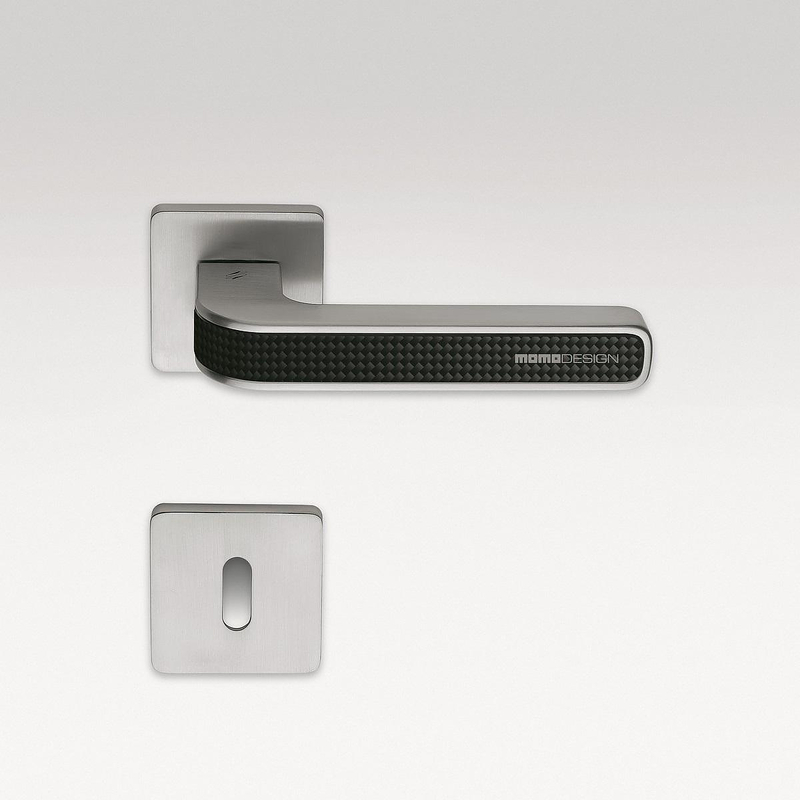 HomeBlogHome DecorTECNO Carbon Fiber Door Handle by MOMO DESIGN. 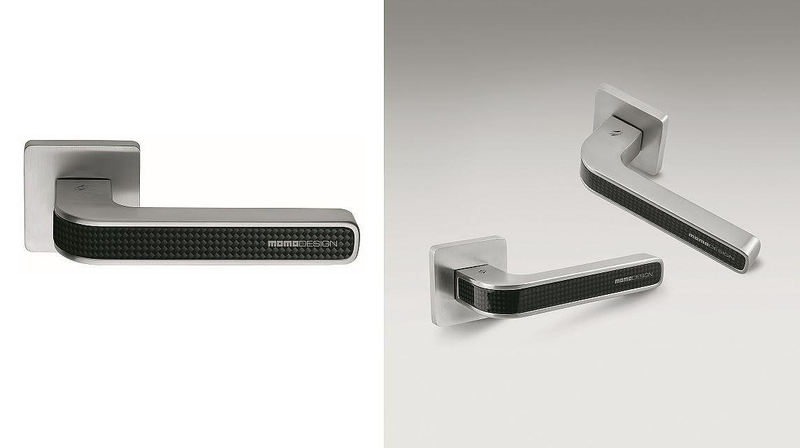 Italian door handle manufacturer Colombo Design in an auspicious collaboration with famous MOMO DESIGN gave life to the TECNO carbon fiber door handle, a sleek handle with a unique high-tech style. MOMO DESIGN are famous for their sports car accessories, such as the distinctive racing bucket seats used by the Ferrari F1 team, their innovative helmets and their super light wheels. In recent years after their success and popularity of their automotive related designs, the MOMO DESIGN team enjoys undertaking new challenges and designs a number of other products, such as decorative objects and fashion accessories. 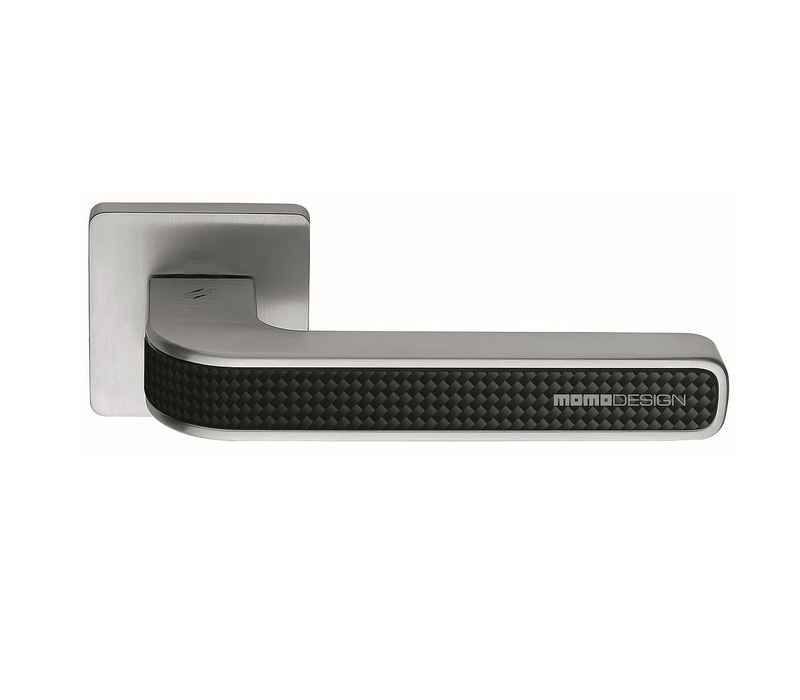 The TECNO door handle a good example of the MOMO DESIGN philosophy applied in a household environment. 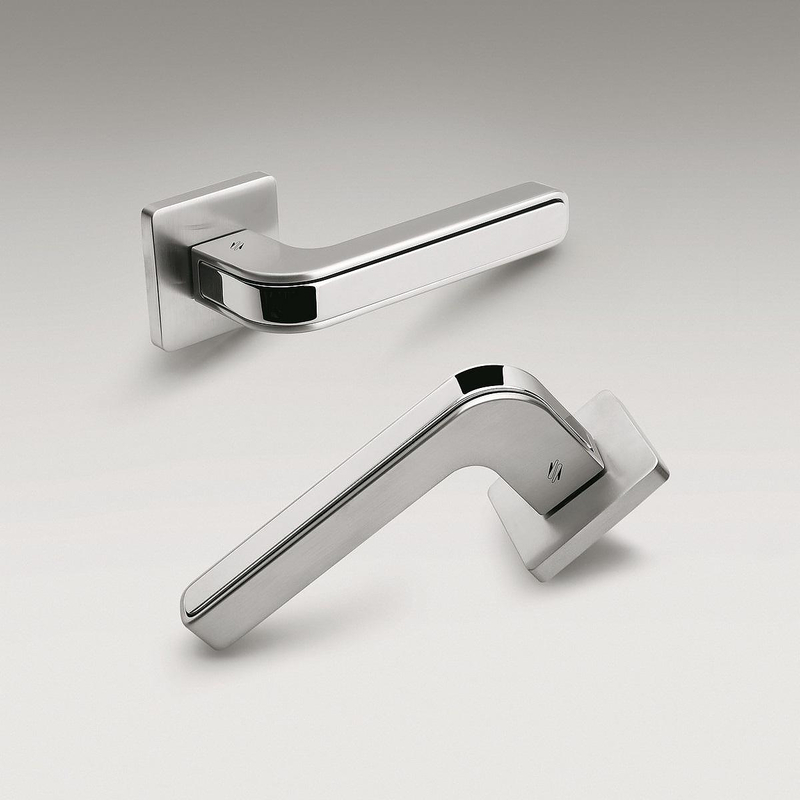 Characterized by the distinguishing features of the renowned Italian brand, it looks as if it was adapted from a racing cars’ door handle. 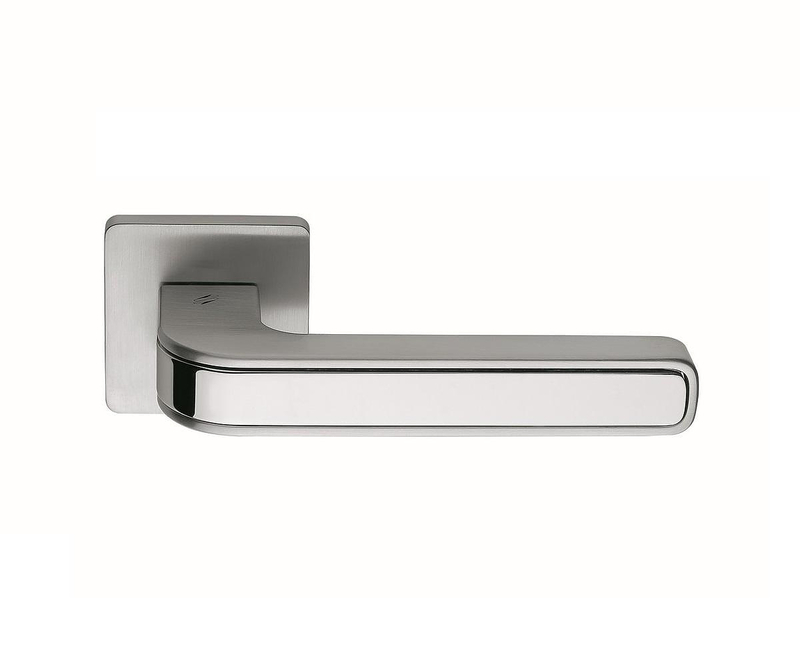 The TECNO door handle is ideal for modern and bold environments with a metropolitan taste. 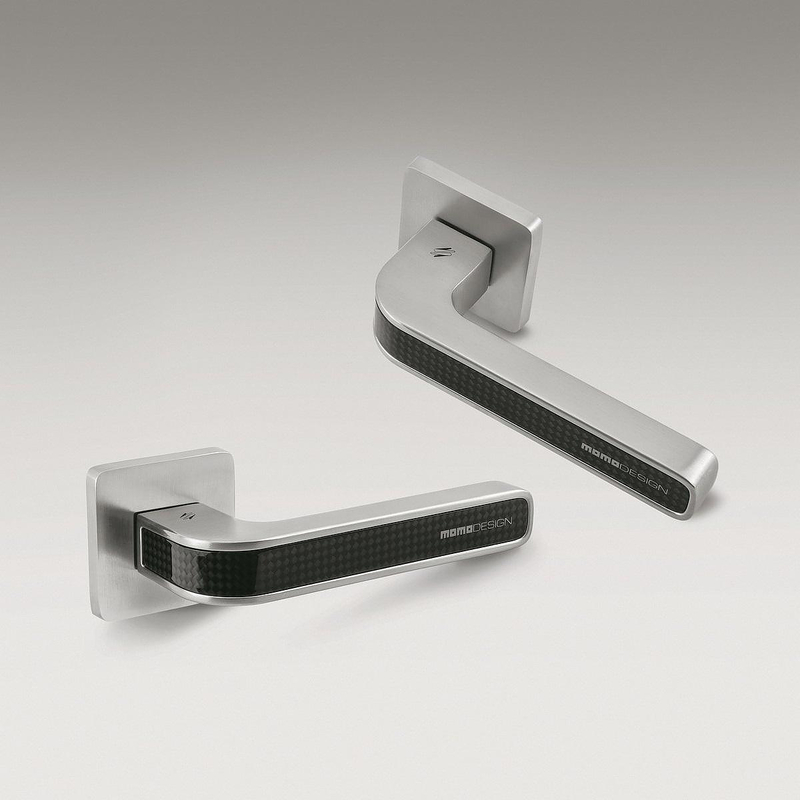 Made in Cromall® alloy, TECNO is available in two versions: with the iconic insert of carbon fiber and the company logo printed in contrast or in the chromed tone on tone version. As one would expect from the finishing and quality is just superb. 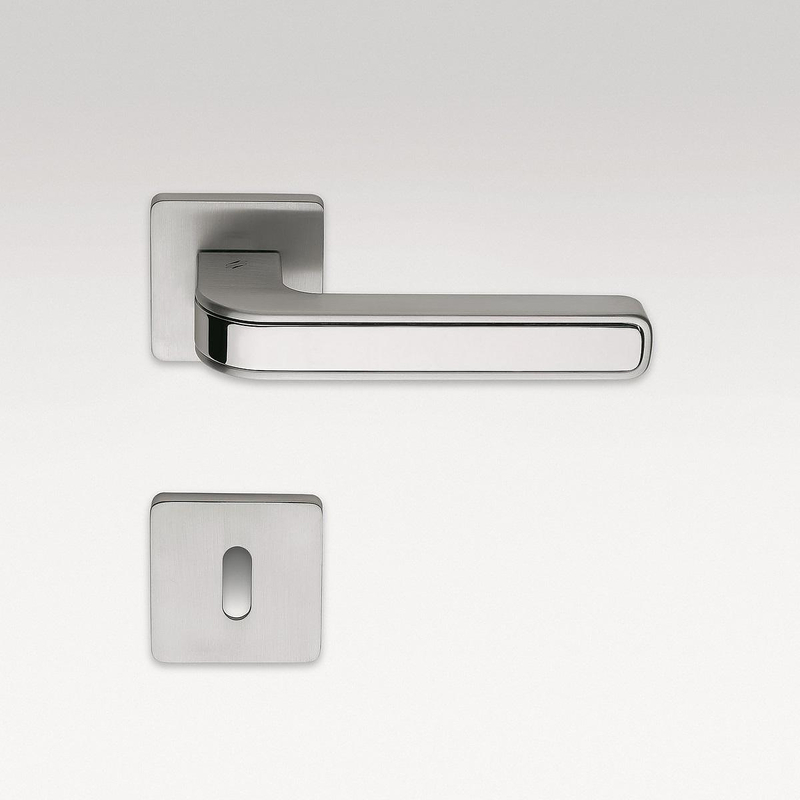 After all Colombo Design is known for their quality door handles. The Italian company is equipped with sophisticated and robotized plants that guarantee a complete internal production cycle. The entirely computerized galvanic bath plant ensures the most avant-garde and refined finishing and guarantees their duration at the same time. MOMO DESIGN are also picky on which products they put their name on, so the quality build of the TECNO carbon fiber door handles is no surprise “Each time a new challenge. For us, each new product is a challenge. It is only by creating new products that our spirit can be strengthened and stimulated. 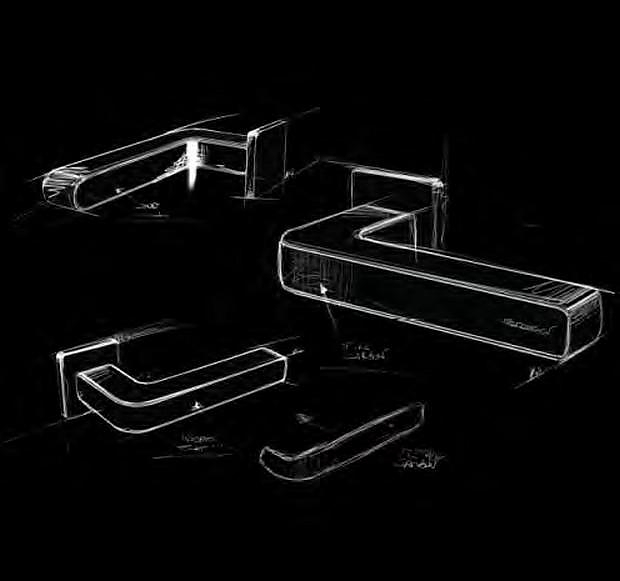 Our goal is to turn an everyday object into a unique object and by choosing to work only with companies that also focus on quality, craftsmanship and innovation, and with an expert, widespread international distribution network, we are able to guarantee product success” – They say.